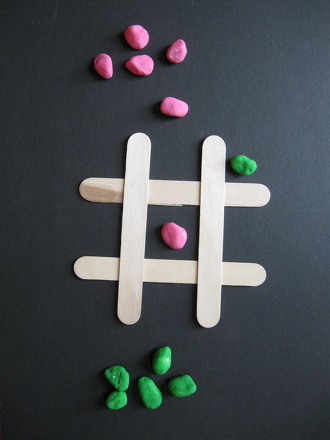 Sweeten up the classic game of Tic-Tac-Toe with this colorful Valentine's Day version! 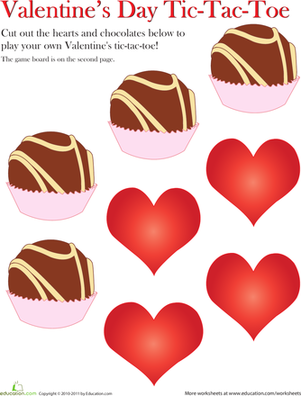 Instead of X's and O's, your child competes using hearts and chocolates. Cutting out the game board pieces works her tiny hand muscles, and playing this adorable game strengthens her strategic thinking skills. 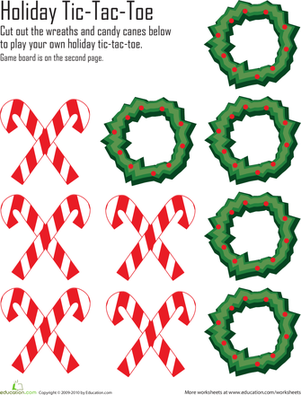 Cut out these flower-themed tic-tac-toe pieces onto sturdy paper for a unique version of the classic game. Cut out these unique tic-tac-toe cards with cartoon suns and moons in place of X's and O's. This fresh take on the classic game of Tic-Tac-Toe will boost your first grader's creativity, fine motor skills, and concept of taking turns. Help your students practise reading and writing sight words using the classic game of tic-tac-toe. Tic-Tac-Toe into the New Year! Let her tic-tac-toe her way to the new year! 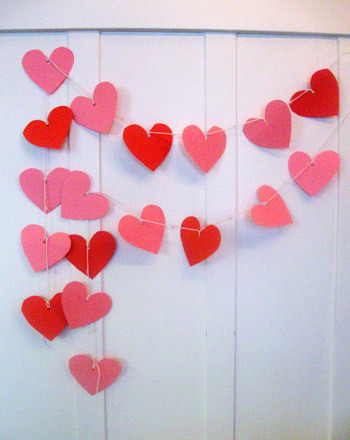 Step up your Valentine game with these inventive Valentine's Day bracelets!